Intuitive Being offers a range of wellness and counseling services that are rooted in the idea that there is a pure version of our selves, with all our illnesses, unproductive mental states and imbalances being a product of our experiences, emotions and thoughts throughout the course of our lifetime. The older the experience, emotion or thought, the more power it has taken on, and the more impact is has on our present. Buddhists might call this pure version of ourselves our “Buddha nature”; Christians might refer to it as the “soul”; metaphysics calls it our “etheric energy field”; in western science, it ties into the realm of quantum mechanics and the theoretical construct of string theory in ways that we are still learning about. These are all just labels, of course, that basically refer to the same concept: that we came into being with a plan, a map, a blueprint for who we are supposed to be, and that this physical matter we call a body is just a vehicle, with something more powerful and complex driving it behind the curtain. 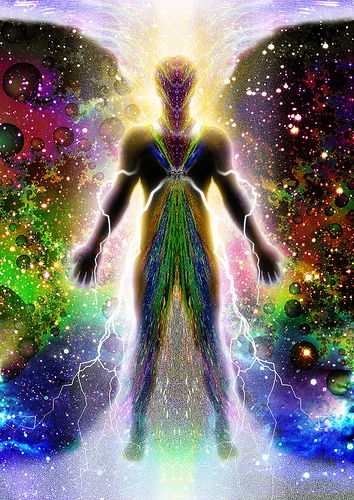 And just as the development of the physical body is informed by ancestral DNA, so too the etheric body is influenced by something akin to energetic DNA that we inherit or absorb from others, both ancestral and in our present reality. The emotions and physical imbalances that result from our myriad life experiences, thought processes and inherited energies can be “uninstalled”, just as they were were installed in the first place. 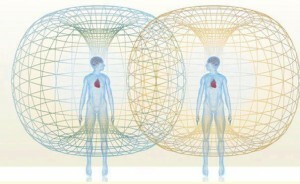 We operate on the belief that we can all be returned to that pure version of ourselves that we came into this life as. Neck pain, anxiety, depression, gastrointestinal disorders, self-defeating belief systems, insomnia … none of these, or any of our other contemporary health and wellness complaints, are part of our plan, our blueprint. Some challenges are lessons in disguise, waiting to be learned; others are simply self-constructed obstacles, ready to be removed, with some sustained effort and work. Depending on the nature of the problem you would like to resolve, the practitioners at Intuitive Being will employ applied kinesiology, cranio sacral therapy, counseling, herbal medicine, massage, reiki or one of many other healing modalities available to us. We are not doctors. We’re more like messengers, helping you understand your emotions and body better and directly take control of them. We are happy to teach you how to heal yourself. Some clients like knowing everything we do, all the nuts and bolts. That’s fine with us. The collaborative detective work can be really fascinating and often fun. Others don’t really want to know all the details, though. This too is fine. If you’d prefer, you can just relax on our massage table while we do the work for you and we’ll discuss what we found after you wake up from your comfortable and healing snooze. But … What About The Scientific Model? At Intuitive Being, we love science! We use western science wherever possible to support and validate our approaches. The diagnostic technologies western science has developed are incredible, and are increasingly “proving” what other medical disciplines have intuitively or theoretically known for thousands of years. SQUID Magnetometry, for example, has clinically proven that each human organ has it’s own distinct bioenergetic field, with the energy field of the human heart projecting out up to 16 feet; up to 5,000 times greater than the EM field of the brain! 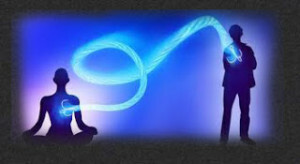 Many of Intuitive Being’s tools are rooted in magnetic energy, the very same field used in EKGs, MRIs and endoscopic navigation, to name a few. However, we don’t depend on the limits of the western scientific model in its current evolutionary state, because we recognize that it is an evolving model and that currently there is far more that western science does not know than that which it does. We will, however, utilize it wherever we are able to in conjunction with more intuitive practices. Don’t just take our word for it. Hear directly from our clients about their experiences with our practitioners.